Most people don’t have well aligned posture. I’m embarrassed to admit I’m a running coach and a yoga teacher and my posture isn’t brilliant. I didn’t realise my posture was poor until I started work as a receptionist in a physio clinic and experienced neck and shoulder pain. I am more aware now, posture is a key reason why I practise yoga. 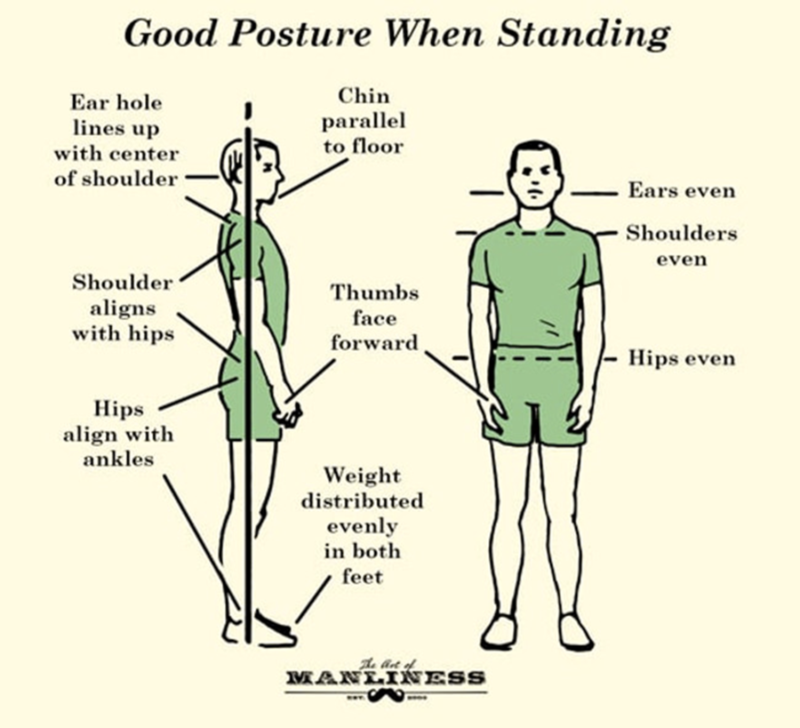 I know I need to think about my posture and doing the exercises reinforces healthy posture. Practising yoga focuses on strengthening and stretching key muscles. This helps to improve gradually any faulty alignment, particularly in the upper and lower back. A very quick and easy test to check your posture is to stand with your back against a wall, back of the head touching the wall, chin parallel to the wall. Notice how this feels. If you face your palms forward this helps to lift the chest. Imagine drawing your shoulder blades together. When someone who has good posture stands against a wall like this it should feel comfortable. If it doesn’t feel comfortable keep practising. Start with a minute and build up. Constant repetition and the body remembers, practising this helps to remodel the alignment, bringing your posture back into proper alignment. There are many corrective exercises for postural alignment, more on that in another post.